British Prime Minister David Cameron was the first high-ranking official to resign over Brexit, the referendum that decided the United Kingdom's fate in the European Union. Cameron delivered his resignation speech in a news conference outside 10 Downing Street in London on Friday, just hours after the official vote was tallied. Now, more high-profile British officials are feeling the heat. On Saturday, British senior official Jonathan Hill resigned from his post as U.K. commissioner to the EU. It's just the latest shake-up expected in this radical restructuring of the United Kingdom and its relationship with the rest of Europe. "As we move to a new phase, I don't believe it is right that I should carry on as the British Commissioner as though nothing had happened," Hill said Saturday in a statement. "In line with what I discussed with the President of the Commission some weeks ago, I have therefore told him that I shall stand down." Hill was Britain's most senior EU official, overseeing the commission's capital markets and financial services portfolio. Now that the U.K. will no long be a part of the 28-nation bloc, it's probably in everyone's best interest that a British politician is nowhere near the commission's finances. 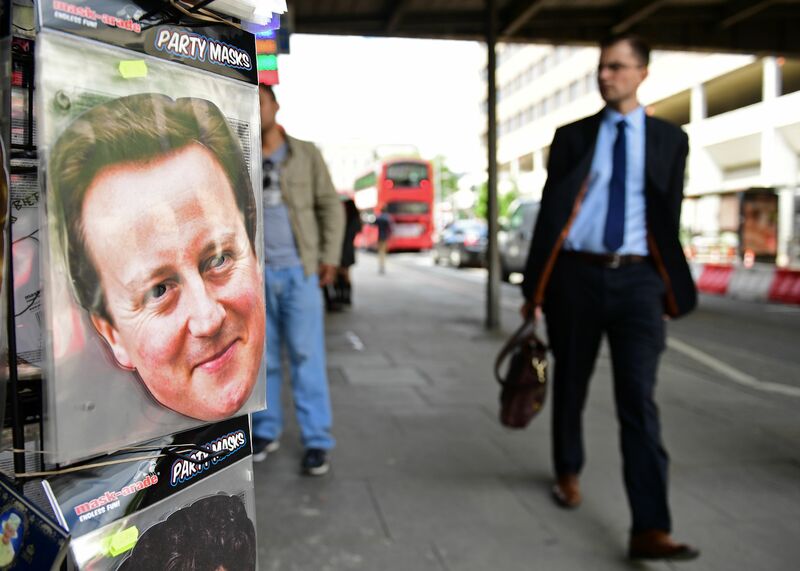 Hill's resignation is the most high-profile exit since Cameron's expected defeat on Friday. Now, some British politicians have been calling for Labour Party leader Jeremy Corbyn to step down. Corbyn was an advocate for remaining in the EU. However, Corbyn appeared defiant on Saturday, deflecting calls to relinquish his leadership of the Labour Party. "I represent a constituency that is very mixed, very diverse, with people from all over the world. I’m very proud of that," Corbyn said in a speech on Saturday, The Telegraph reported. He also told Telegraph reporter Kate McCann that he plans to continue as Labour Party leader. "Yes, I am here, hello," Corbyn said. As British politicians either retreat or struggle to stand their ground in the coming days, the rest of Europe is preparing for radical changes — and Europe is not wasting its time. According to a report from the Agence France-Presse, French EU officials expect a swift exit from the U.K., even though Cameron said in his resignation speech that talks won't really begin until October. The AFP quoted EU Chief Jean-Claude Juncker on Saturday questioning the months-long agony: "I do not understand why the British government needs until October to decide whether to send the divorce letter to Brussels," Juncker reportedly said. Angelique Chrisafi of The Guardian also reported from Paris that "France is among countries wishing for article 50 to be enacted as soon as is feasible." Cameron, however, has been insistent that a new prime minister won't take over until the fall. Meanwhile, anger from the 16 million U.K. citizens who voted "remain" has transformed into a petition calling for another EU referendum. The petition already had 1.5 million signatures as of Saturday afternoon, the BBC reported. It's uncertain whether or not Cameron will recognize this petition — the prime minister was pretty clear before the vote that if the U.K. chooses to "Brexit," they will.